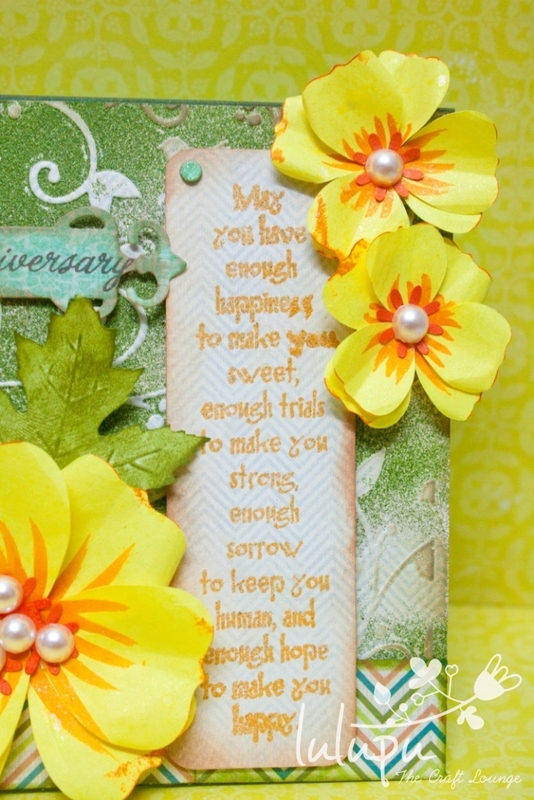 I wanted to share a sneak peak of this gorgeous side step card i tried with handmade flowers for the Monthly Challenge at Lulupu Blog. I totally had fun making these handmade flowers with my Ecraft and then embossing, shaping and decorating them. 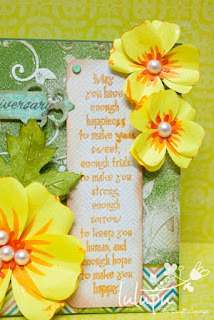 To see the complete card hop over to my post at Lulupu Blog and i hope you also participate in the monthly challenge! Lovely card ! The yellow flowers look amazing !